FLSA Simplified for Non-Exempt Employees is a comprehensive training program that helps workers easily understand what it means to be paid “hourly”. What are the requirements and limitations of being non-exempt? It’s an important training tool that makes this difficult transition go as smoothly as possible. 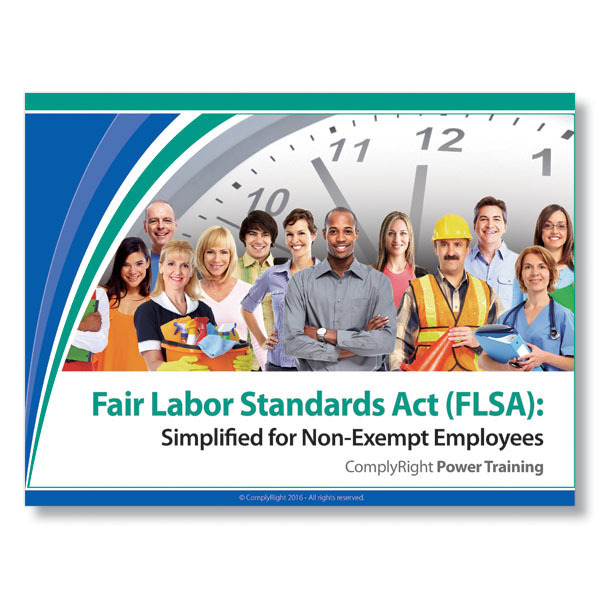 You may also be interested in Fair Labor Standards Act Power Training for Managers and Supervisors. Fair Labor Standards Act Power Training Program For Non-Exempt Employees is part of the ComplyRight Power Training Library of HR Compliance topics.